This article moved me to tears. “Fifth grader is reading at 2.7 grade level”. This is my 10yr old son … and 12 yr old daughter. His Lexile is in the 200’s. My daughter also struggles with reading comprehension. They were evaluated and had IEPs by 1st grade. The help they received did little to provide skills to help work toward grade level work. They, literally, were only accommodated. I thought I was being critical of a process maybe I didn’t understand. I am now seeking out OG (Orton-Gillingham) programs to help my children. I’m a special ed teacher. I found this page doing research because I have a particular student who is not making progress with an Orton Gillingham based program. The dyslexia therapist and I are both working with this child. We both have literally shed tears trying to figure this out. By the time a student qualifies to see me they have been through every other program that our school system has to offer. I simply don’t understand your way of thinking. I don’t understand your need to place blame on special education teachers. Please, come and help us. Seriously, I mean this most respectfully if you can help us teach this child to read it would mean the world to us. I’m willing. This child is more important to me than your misconceptions and my pride. Have you heard of Susan Barton? She is a Dyslexia expert. Her company is called Bright Solutions for Dyslexia: Barton Reading and Spelling and it is Orton Gillingham based and multisensory. It also has a strong Phonemic Awareness component before ever learning to read. 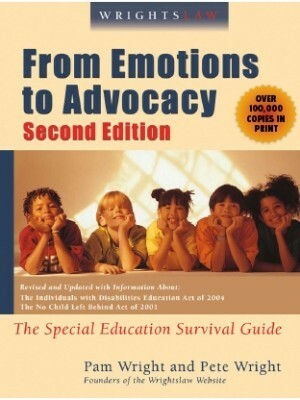 I actually was trained in this when working as a K-3 Special Education tutor and aide in a public school. 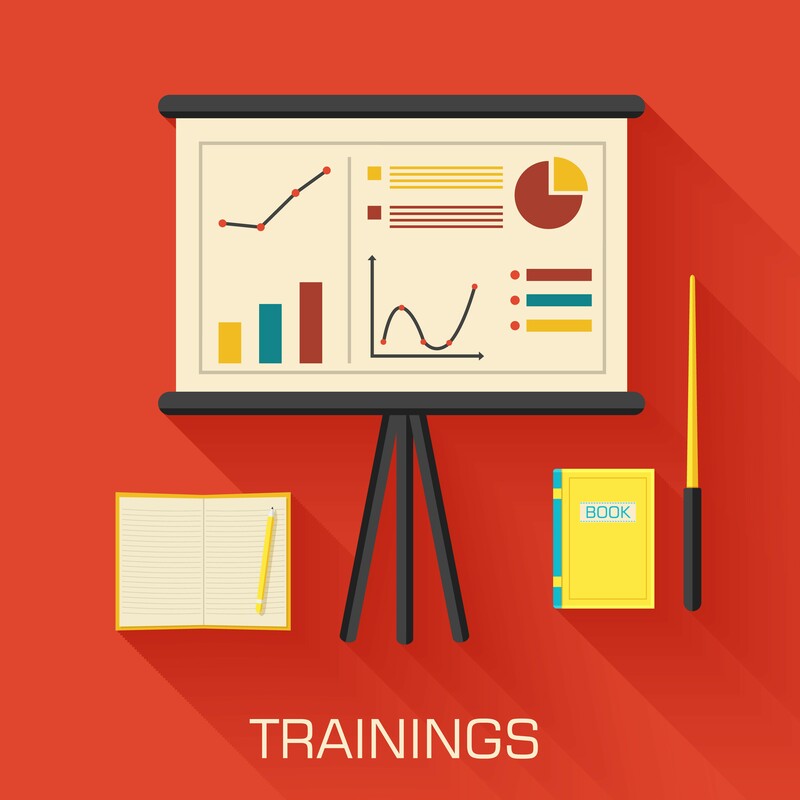 The Special Education teacher took all the training and was certified to do full screenings. Now working in a private Christian school, this program is used and all students are screened when entering. 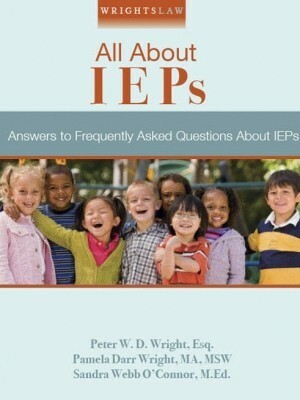 My daughter has an IEP since 1 grade. She reads at a 2.7 and is in 8th grade. I have invested in a tutor who is amazing with teaching her. My biggest complaint is she is suppose to comprehend 8th grade literature. They won’t accommodate her for her reading level. So my daughter will fail the class. Rachel, Your daughter should have access to audio books at the 8th grade level so she can participate in 8th grade comprehension….as long as her cognitive functioning is near that grade level. Dyslexic students do have average and frequently above average cognitive functioning. If her cognitive functioning is not at or near 8th grade level then she should be in a reading group that will help her develop comprehension at her reading level. 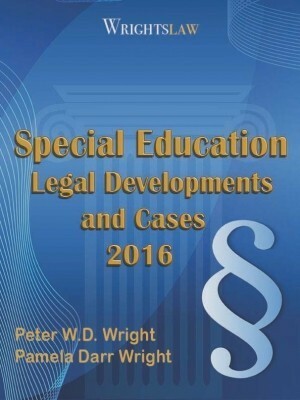 A lot of districts need to be “prompted” (and sometimes strongly encouraged, if not threatened with lawsuit for not providing IDEA) in order to provide the kinds of accommodations many special ed students need. My son has been seeing a orton gillingham tutor twice a week for six years. He is six years behind in reading. His dyslexia has affected everything from reading and math and every other subject. I have no idea what else to do for him. All testing points to dyslexia. You need answers to these questions and you need to know why your son has made little or no progress after six years of tutoring. Your son doesn’t have more time to waste. He can’t check these things out – he needs you to step up to the plate. Thanks for your help. He has been seeing an Orton-Gillingham trained teacher. She has been teaching for 10 plus years as a tutor using this program. He has also been given an IEP in school and has been getting help one on one and in groups since first grade. I’ve seen Neuropsychologist for testing..test result is dyslexia. I’ve stepped up to the plate. I’m wondering if maybe Orton-Gillingham isn’t the best program for all dyslexics? As far as never getting your kid out of SPED. That’s ridiculous. The parent makes that decision and can do so at any time. Our goal is not to label kids, we should be trying every intervention possible before we place a student in the SPED program. Personally, I know some incredible SPED teachers, so don’t throw us all under the bus. My son is in 6th grade and is dyslexic. He is in special ed. classes and he hates it. What I have seen so far especially with the special ed. teacher. She picks on him. Uses him as an example in the front of the class. Have talked to counselors, teachers, and even the principal. Getting ready to go to the board. I agree, since in middle school, I am not pleased with the system. I cannot afford a tutor. I am going to try to tutor him myself, I fear if he does not get confidence and positiveness from the school system he is going to end up dropping out of school. In my experience as both a regular ed teacher and a parent of a special education child……special ed is BABYSITTING! i am so happy to read all these matters that happens to special kids. ie , i have a student in my class of age 11 whose IQ is only 58% and a mild MR . I WANT TO KNOW HOW CAN I HELP HIM AS A TEACHER ? This has been a rough year. I have a group of 8th grade students whose math skills are between 2nd-4th grade and reading skills between the 2nd and 5th grade. I am unsure what to do at this point. They do not know how to add, subtract, multiply or divide with confidence so we are taking two weeks “off” to learn multiplication facts. I have a 5th grader who reads between 2nd and 3rd. I meet with him four or five times a week and it’s a painful experience, for both of us. I’m at a loss beyond what I’ve already done, the usual sounding out words, sight words, reading aloud, reading silently. Will this student ever progress? And how can I help him to make progress? Studies have shown parents who don’t read produce children who can’t or don’t read. Children don’t learn the love of reading in school, they learn it at home. School offers skills and help in the process but telling a child how important reading is, is a poor substitute for showing them. If you enjoy reading your child in most cases will too. That is not to say that some kids with LDs won’t struggle with reading, just that if we want to show kids the joy of reading we need to walk the walk, not just talk the talk. Even kids who struggle will be encouraged to want to keep trying if we prioritize reading at home. I read aloud to our kids long after they were old enough to read alone, I loved it and so did they. They are all readers now although some more so than others, but they all can read on level. My father is an avid reader. I personally, do not care for it. I have a hard time with comprehension. (I have a MS and then later went back to school to get my nursing degree.) My daughter likes reading, but takes it in spurts. My son does not care for it. My husband is an avid reader – several, several books per week. I do not feel that all children learn the “love” of reading from their parents. For me, I have comprehension problems, so I’m a very slow reader. There are many other things that I want or need to do, instead of reading. I’m finding the same in my kids. My daughter is advanced, but didn’t start reading well until the past year. My son is about 4 yrs behind. He has Childhood Apraxia of Speech and Autism the Odd type. That”s not always true- that a child can’t read because the parents don’t read. I always have a book I am reading, provided books, read stories….,and my youngest daughter reads at a lower elementary level. she is going into eighth grade. The issue is that there is such a huge variance in the training received by both reading teachers and learning specialists. Both MAY be very capable of teaching a child with a print disability. But not always. We went through multiple rounds of school testing, worked extensively with the school reading specialist, learning specialist and speech pathologist. I questioned dyslexia and none of them thought it was a concern. Finally went to an outside testing center who tested and pointed to his non-existent phonemic awareness score and confirmed exactly what we had seen but didn’t understand — that, despite normal to high scores in many areas, he had almost no ability to segment words into phonemes. His only true learning issue apparently is dyslexia. We’re currently remediating privately with Orton Gillingham. Pam, you are lumping all Sp.Ed. teachers into a “can’t teach reading” category, which is totally not fair! I am a middle school teacher in a rural California community & I teach the Susan Barton Reading & Spelling Program to our Sp. Ed. & school-based students. This program has been highly successful for our students. 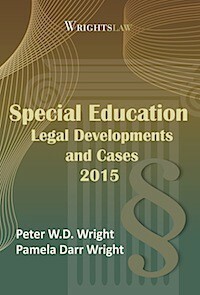 I also disagree with the “once in Sp.Ed., always in Sp.Ed.” remark. It is our duty to find the appropriate placement for all our students throughout their learning experience. It is my goal to mainstream as many of my Sp.Ed. students, as possible, by 8th grade. This does take administrative & staff support, with much collaboration by everyone. One foot out the Sp.Ed. door! Another goal is creating a confident student (understanding their difficulties, as well as their strengths) so they can be their own advocate for life. Such a shame that you have not worked with competent Sp.Ed. teachers. They do exist and do have alternative prescriptive methods to help students read. For a child who needs help getting through public school, especially with the inappropriate testing that is going on and upon which graduation depends; Sp. Ed. is a way to get support anonymously and free. Some parents don’t have a house to mortgage. Sharla I find what Pam is stating to be true. In my state certain schools are doing a pilot project. Only certain cities were selected for this and teachers are being trained. There was a law that just passed in Ohio for this. So yes she is right. It’s the universities that are not training teachers properly to acknowledge or know what and/or how to teach a dyslexic child. 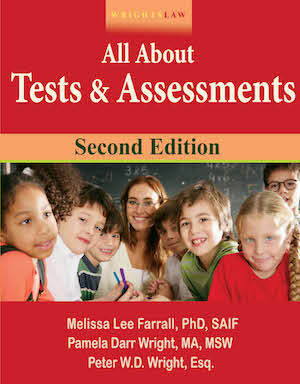 Or what tests need tp be administered to find out if the child is dyslexic. Pam, I have been a special educator for many years and have had a great deal of success with teaching reading to my students. Obviously, your research was completed in the wrong areas. I am now working at the university teaching students how to teach reading! And I agree they never let a good sped teacher out to help reg. ed. The demand is too great and and sped teachers are greatly under- appreciated as well as the numbers of students grow larger and larger every year!! A standard score of 85, is considered low average. If he is truly 2.5 years behind in reading, then that score should be much lower. Something does not sound right to me. If the process was started before he left, then it does not stop because he goes to a new school. They need to continue with the process and pick up where the old school left off. That actually happened with one of my students this school year and I contacted the new school and informed them where I was at in the process of testing. 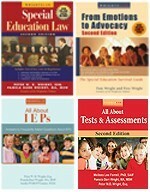 My son has an IEP and in the Resource Room for most subjects including reading and decoding. I pay for tutoring by a 13 year trained teacher of Orton-Gillingham. He goes 2x wk. He has only made progress with the Orton-Gillingham tutor. He is in 5th grade and testing at 2nd grade reading level despite all this help which began 1st grade. He has been tested by the school and independently by a Neuropsychologist. His diagnosis said normal IQ with delays in Language and Speech. He has what appears to be dyslexia and ADHD. ( ADHD is controlled with meds.) He’s getting the help he needs from the school, tutor, and right program. He’s still really struggling. Next year is Middle School and I have no idea how he will survive the amount of reading, memorizing, and math. I’m unsure what to do next. I wish we could sit down for lunch and talk about our experiences. I, like Sharon L, was able to get FAPE for my child who is now an older dyslexic student. It was not easy as I did not initially know the law years ago. My child is now in middle school. I have found that collaboration is better than screaming the law at the school officials. GIGi, I know what your school is doing–they have filled the spots for the program and your son does not have a spot. 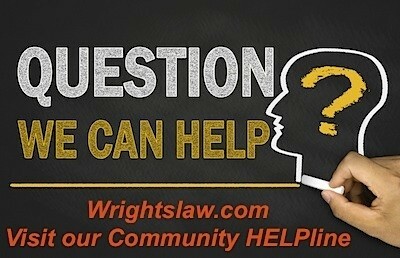 Ask them for their qualifying guidelines and the data that shows that your son does or does not qualify. 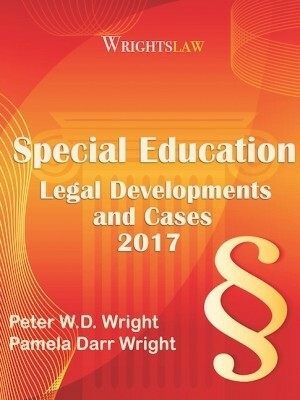 Schools must provide FAPE but you must use Wrightslaw resources to get such for your son in a way that builds collaboration. Sharon, like you, I had to educate the district and find certain resources for them to pay for to provide FAPE. GIGI – First of all I never heard of anyone not qualifying for Wilson reading. It is not a program that you test into. It is another way of teaching people how to read along with many other methods like Alphabetic Phonics, etc. 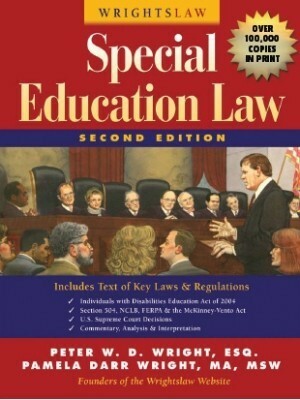 The school is obligated by law (FAPE) to teach your son to read. Whatever methodology that is required to do that must be done & if the school does not have someone that can teach your son effectively they must find someone. My son has dyslexia. Wilson was used for awhile & then he did well on Alphabetic Phonics. The school did not have a person trained in these methodologies so we found a certified tutor in our area through the international dyslexia web site & the school paid for transportation and 5 hours of tutoring per week. My 7th grade son has been in resource room special ed since 3rd grade. He was just tested. Reading on a 5th grade level. In 3rd grade I was told he needed wilson but the schoool’s requirements to get into the program were so strict he wouldn’t qualify. 1. Can they do that or are there standard requirements that all schools must follow? 2. If he needs a program that they do not offer, are they required to pay for it? 3. How far behind does he have to be to get a research based program? We live in NY. He is 12, has ADHD and auditory processing deficits. Wow….you are doing a great service to your students. How do you fight the system? I feel, as a parent, I am a change agent via my child. When I question IDEA, have the district enroll kids in bookshre, or even listen when I talk about best practices –then I know I am making a difference. I cannot change a whole system but I have made more staff members aware of my child’s needs and as a result they advocate for other kids. I cannot fight the system, but I can advocate for my child and his rights unde IDEA. that I should meet with my students 1:1 because it is not the “best use of my time.” How do you fight the system? I totally agree with this article. We had my son privately tested at the beginning of 2nd grade, after a year in reading recovery with no improvement. The neuropsych evaluation revealed dyslexia. We finally got an IEP (though we still have not signed it, because it’s no good). We could quickly see that the sped teacher (though well intentioned) didn’t have a clue what she was doing, and the school refused 1 on 1 help – instead they have him in a group of 4 children, for a half hour 5 days a week. We got so fed up fighting the school, that we got a private tutor from Landmark School (a school for dyslexic children) to tutor him 2 days a week. It has been expensive, but worth it. Fortunately, my son is making incredible improvements, we are so impressed with our tutor! Unfortunately, our school is taking all the credit. Re: Teacher Training – I think some teachers are feeling attacked reading this blog. The truth is that many of the college curriculums for teacher training has little to do with teaching kids to read–the data and research on this is very clear, please review it for your state. Do research!! Also, teachers are not getting the instructional support necessary for them to teach struggling readers. I warn parents with older dyslesic kids to carefully monitor to ensure that the expectations are kept high for your child during the middle and high school years. Carefully monitor each IEP goal and know that many bright LD kids are walking across the high school graduation stage with 2nd grade reading levels. Many parents are placing their kids in private schools that specialize in LDs that are in New England. Debbie and Paula your comments are thought provoking and help us parents understand that indeed there are teachers that are trained and capable of teaching children symptomatic of dyslexia. If I may add on, there are many cases where children are not getting the appropriate remediation and parents must ‘push’ or often we feel ‘fight to get the correct instruction. I speak on behalf of my son, who was pulled out for 240 hours of special instruction, his second year in kindergarten and yet was still severely behind his grade mates in regards to literacy. After tutoring with a OG, research tested program, he is now surpassing the school’s expectations and with some literary assessments – above average. Two years and plenty of resources were lost. The emotional toll is heartwrenching. My son’s story is not unique or rare. This is the biggest bunch of bull I have ever read. As a special ed teacher, I can not tell you how many kids I have taught to read. My children love coming to me because for once they are beginning to feel good about themselves. I use systematic approaches to reading that include…read naturally, explode the code, Edmark and Language. As to getting out, why wouldn’t I want them returned to general education? How ridiculous! I guess it is better to call your kids stupid, rather than special. You think that because they sit in general education that nothing is wrong. Poor kids…I feel so sorry for them. WOW! The comment about colleges NOT training their students who are going to be Special Education teachers in the methods of teaching a child to read! REALLY!?? I think you missed the mark on that one. I have been teaching Special Education for 22 years. I can honestly tell you that I have taught numerous children to not only “word call”- read the words but also to comprehend what those words mean in context. So, I am shocked that you feel that way! I, however, would never have told a parent that their child was not college material just because they have dyslexia, dysgraphia or other learning issues. As a matter of fact, I tell them to keep working hard and it will pay off in the end. I guess it depends on who you are as a teacher. So, maybe you should be more careful about “generalizing” all of us into the category of a few. I want out of sped to teach regular eduction students but most districts will not let a good special ed teacher out of sped!! And the numbers keep going up along with the behavioral challenges of the students! Lori – You say you and your staff are “trained” in ortin gillingham and wilson”. What do you mean by “trained”? How much training do you and the others have? This is a concern by parents seeking reading success for their children. I have 3 boys who all had various degrees of reading problems. I have dealt with 3 different school districts. They were not wilson trained or any other specialized reading program. We had to seek outside professional tutoring for our sons which the school paid for since they could not provide it. I believe it would be a better use of tax dollars to train in-house staff than to pay more money for an outside tutor. How did this get started at your school? It sounds like you have an exceptional situation? Deb You are welcome and good luck. I completely disagree with your statement that special educators are not trained to teach reading. I am a special educator and teach mostly 4th and 5th grade students through inclusion and resource. I am trained in teaching using the orton gillingham approach as well as wilson reading. Our entire special education staff from k all the way through high school is wilson trained. I do agree that once a child is in a grade higher than 3rd grade and is behind in reading, it is very difficult to catch up but it can and has been done at our school with collaboration between regular educators and special educators. Truth is…blanket statements about all special education teachers, programs, and students with disabilities should not be made. Sharon L. – thank you for your response it means a great deal. I am more than excited to have my son in this free program funded by a grant. I will continue to work with the school, administration and the board for future help and remediation that is less myopic. I am also pushing through via ‘the community’ and our legislators. The story should and needs to be heard. Thanks! It is NOT “Once a child is in special ed, is almost impossible to get the child out.” Are you kidding me? All the parent has to do is say no. Take my child out. And, I resent your comment that “Most special ed teachers are not trained to teach children to read. If they have training, it is superficial or they are working in K-3. ” Again, are you kidding me??? where have YOU been these past few years? Deb – Alphabetic Phonics was the only program that worked for my son. My son tried & tried all of the reading programs they threw at him. When we found the tutor that actually taught him to read it was because she used alphabetic phonics. My son was so discouraged prior to this but is now in his 3rd year of college. My son does not understand why the school’s cannot teach everyone in this manner as it made so much sense to him. He started it at beginning of 9th grade 5 days a week for one class time & through summer as compensatory time to help him catch up. The school paid for all of it & the transportation. GGIRL – I used the standardized test scores to force their hand & proved that my son was not making progress (FAPE). My son’s triannual testing was completed at the end of his 7th grade & showed his progress. We completed the usual year end IEP & he started 8th grade in the fall. February of his 8th grade I requested a reading, language arts and speech re-evaluation to compare it to the results of the testing from the previous year. I always put my request in writing & send certified & make sure I sign their consent form. They did the testing in the 60 day timeframe which put us around end of April beginning of May. This along with previous testing & a previous outside testing paid for by the school proved he was not progressing. I suspect that paying for tutoring was cheaper than a lawsuit which I believe we would have won. I was able to get a program for my child who is dyslexic through ESY. ESY is not just for the summer but can be part of the extended school day–that is how my school district justified giving my child a tutor specializing in programs in dyslexia during the school year and summers. A child with dyslexia needs that intensive remediation. You need data–get an IEE. That will give you the data you need along with the school data to justify ESY, tutoring, etc. What data has the school presented to you concerning your son’s reading deficits? Use that..call your State Dept. of Education to get clarification. Also, checkout the website by Shawitz at Yale Center for Creatviity and Research. My child is a success story. 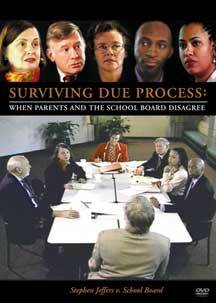 We did not use due process just an IEE and Dept. of Education resources.